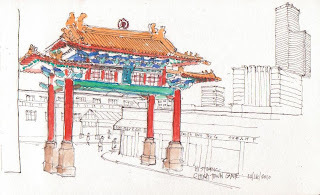 Urban Sketchers Seattle: The ID Gate with mindboggling detail. The ID Gate with mindboggling detail. 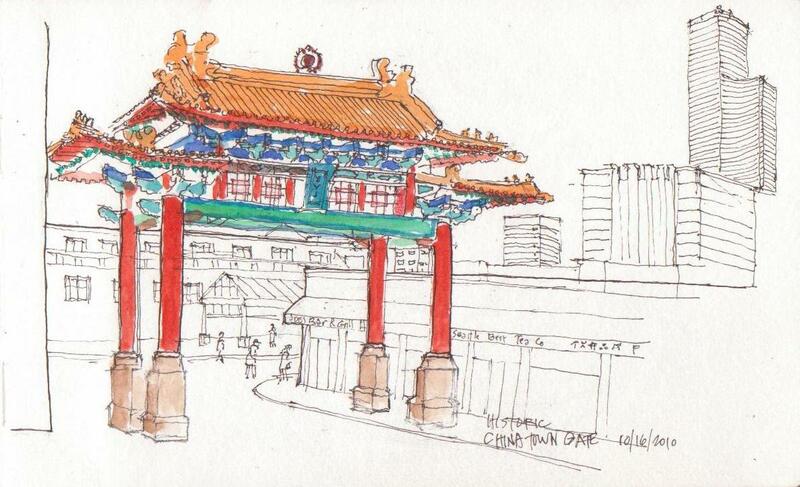 Labels: The International District Chinatown gate was completed in 2008. Much of the material was imported from China and it's foundations are 85 feet deep. Wonderful sketch Greg, This is such a hard thing to draw. It is so complex. Gail's right, you and Jane both did a great job putting the 'Gate' to paper.